What’s Coming to 10th and Oregon Ave? What’s happening at the southwest corner of 10th St and Oregon Ave? The contractors have ripped down the old buildings, dug up the ground, and are amidst a new construction project. One of the buildings torn down used to house Candelaria Produce (2700 S 10th St). The building is in the Marconi Plaza neighborhood and adjacent to Oregon Steak. The new structure will be four stories high for commercial uses, with two additional dwelling units. It has been reported that a fabricator business may be moving in rather than the previously rumored coffee shop. It seems Marconi Plaza and Whitman area must continue on with their lack in cafes. Halloween is here already! If you and your family are looking for things to do in Philly, look no further than the Whitman neighborhood of South Philly. The Halloween events around the area focus on kid-friendly and family fun. If you don’t want your little ones wandering the streets late at night to trick-or-treat, consider taking them to trick-or-treat at the Whitman Library! 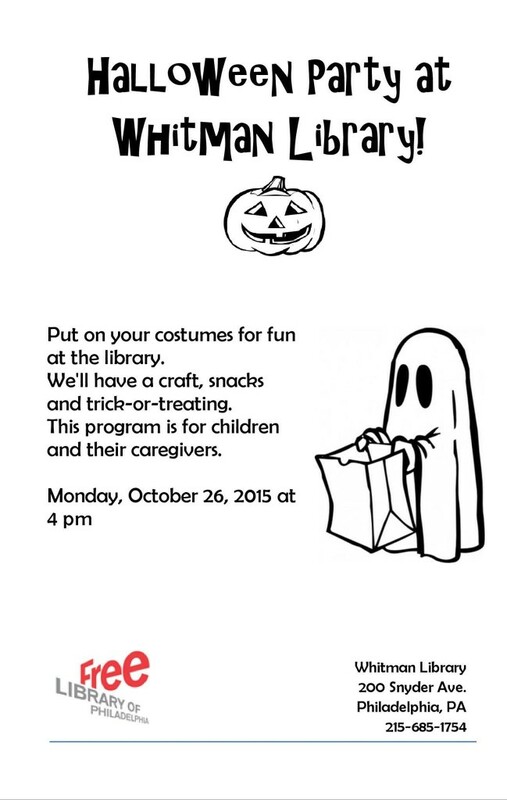 Take your kids to the Whitman Library located at 200 Snyder Ave on Monday, October 26th at 4pm. That will give kids the chance to go home and change after school – if they aren’t already in their costume! Looking for something a little more interactive for the family? 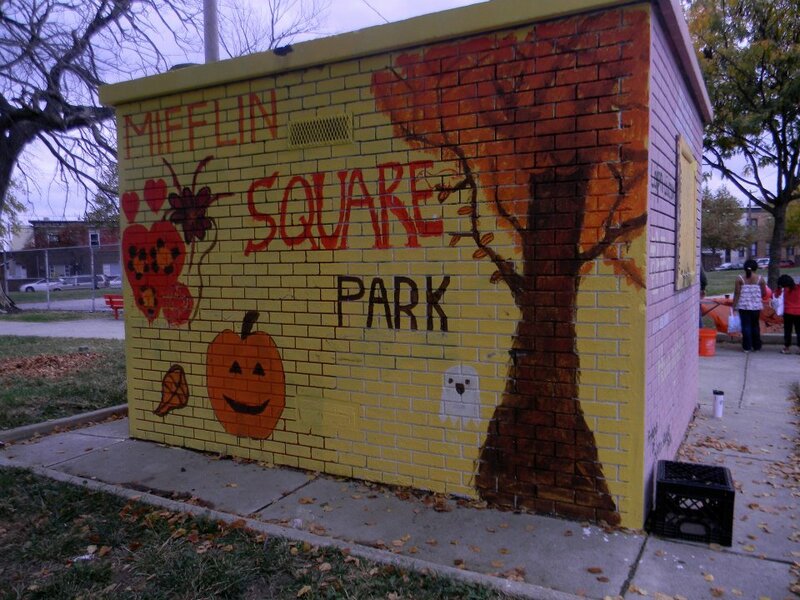 On Thursday, October 29, Mifflin Square Park is hosting their Annual Halloween Park Cleanup & Mask Making Contest at 6th & Ritner Street from 3:30-6:30pm. Bring your joy and share it with the neighborhood! Wegmans announces plans regarding new store openings, but not where everyone has been anticipating. Rumor has been floating around about a Wegmans opening in South Philadelphia for years now. Most of it was wishful thinking, with a lot of wishing. In fact, the Wegmans fan base is so strong around here that there are dozens of Facebook fan pages and support groups based around it – despite the lack of stores. 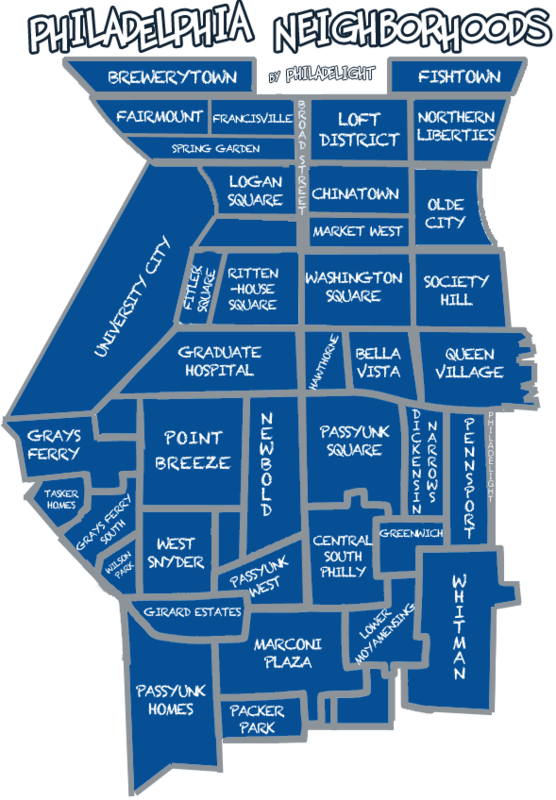 It doesn’t help that their are so many Philadelphia locations that would be ideal for the popular supermarket. It has been confirmed again and again that Wegmans is not coming to Broad and Washington and most definitely not coming to Snyder Plaza, where ShopRite will soon move from. 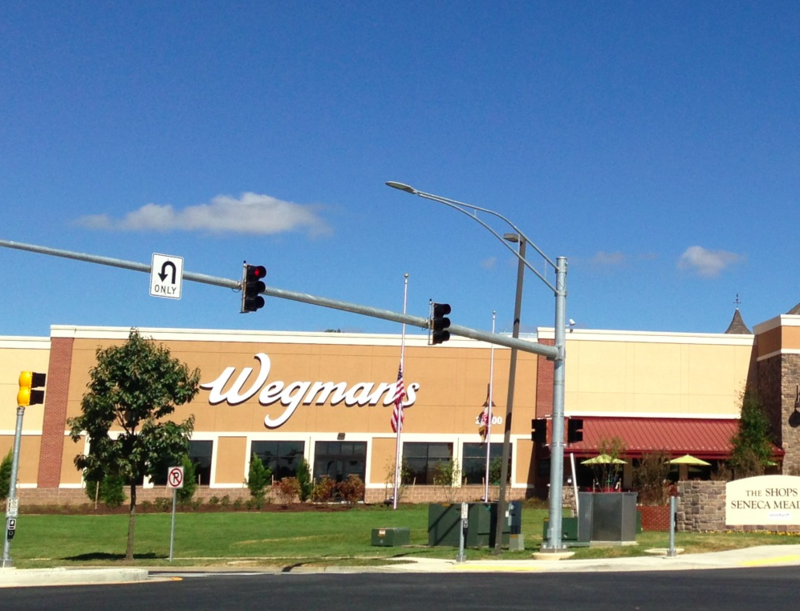 All is not lost, however, as Wegmans has announced its plans to open two new stores in Pennsylvania. The first one opens in just a couple of weeks in Concordville. The second location, pending opening date, will be located in Lancaster. Although not in Philadelphia, fans of the store can be hopeful that Wegmans is expanding its stores and approaching the city. 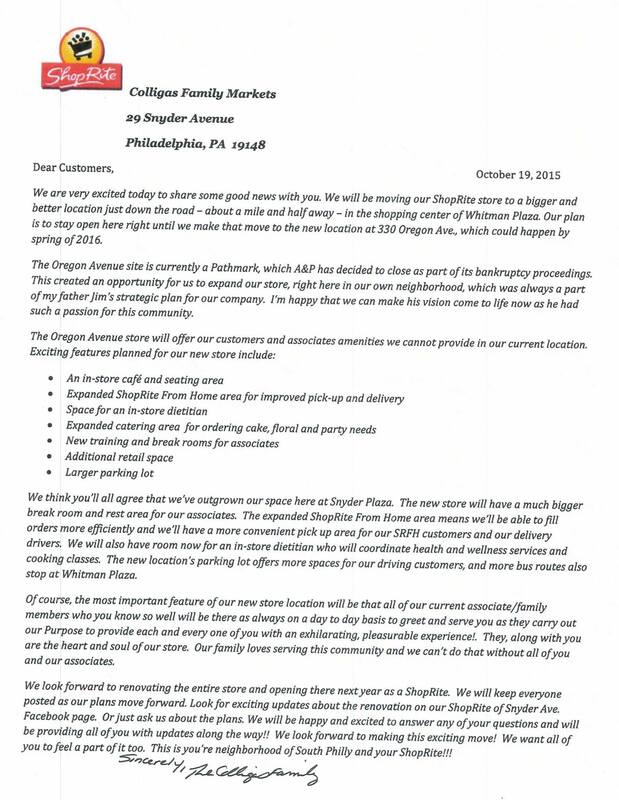 A &P’s Pathmark located in Whitman Plaza on 3rd and Oregon will officially close come November 3rd, 2015. The ShopRite store at Snyder Plaza will be moving to the more spacious Oregon Ave location come Spring 2016, according to sources at ShopRite. ShopRite hopes to expand its store at the new location by offering a sit-in cafe, dietician, and additional upscale features. Sources hint at a grand plan to develop Whitman Plaza and nearby neighborhoods, bringing in new residents, more jobs, and tight security features; all while maintaining the same low cost to consumers. The expected influx of businesses and jobs is intended to draw in new and diverse residents, further developing the neighborhood. 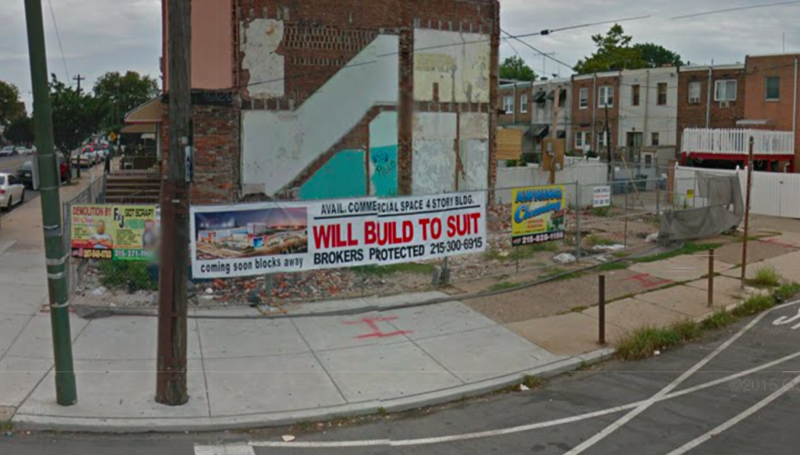 The building where Pathmark once stood will be completely renovated to give ShopRite a specific modern appeal, the first of it’s kind in Philadelphia. ShopRite was unclear about their planned security features and specific plans to clean up the neighborhood. Their decision to go green will mostly depend on neighborhood associations and nearby residents. The new ShopRite does not advertise a pharmacy department. Pathmark’s pharmacy department closes October 31, 2015. Prescriptions have been sold to RiteAid Pharmacy. Consumers with prescriptions or refills at Pathmark Pharmacy in Whitman Plaza will have to contact RiteAid to get their prescriptions. Alternatively, customers can have their new pharmacy of choice contact RiteAid and transfer all their prescriptions. Philadelphia is quickly becoming the best city for foodies. It is only a matter of time before it is declared the food capital of the country. These newly opened and soon to open restaurants are must tries for any food enthusiast. Whitman: 2654 S. Sixth St.
Vetri chef Justino Jimenez specializes in the al pastor, succulent bits of pork shaved from a pineapple-marinated spit and served with chopped onion, cilantro and avocado. 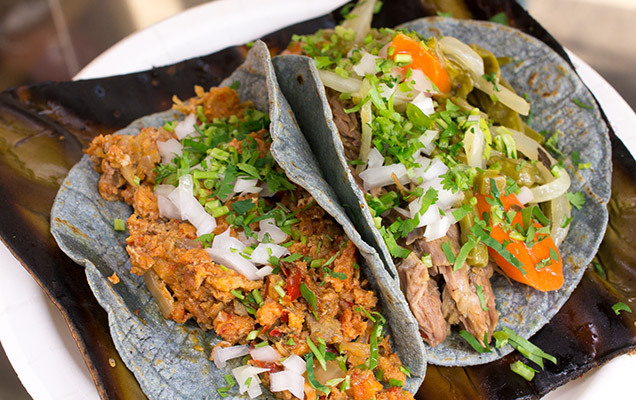 This new South Philly eatery is a hidden gem on the dated streets of Oregon ave. Arguably the best taco eatery in Philadelphia, Los Jimenez Mexican Cocina is disguised as a small, hole-in-the-wall corner store. Opening this Friday, August 28 on East Passyunk is chef Sam Jacobson’s Stagazy, featuring traditional English dishes. The menu will include savory pies, along with other specialty baked goods, puddings and house-made breads. Look for the doors to open Friday, August 28. The latest restaurant to spring from the team behind Memphis Taproom, Local 44 and other superior spots, Coeur is a Montreal-style bistro with approachable, easygoing fare that features options for everyone from meat eaters to vegans. The doors open with a party on September 18. It’s so difficult getting a table at Joncarl Lochman’s popular Noord that he opened up this new restaurant to share more Nordic cuisine with South Philadelphia. Buckminser’s “neo-bistro” menu will be available later this fall. South Philly’s Pennsport and Whitman neighborhoods have been sorely lacking on the brunch department up until now. Newly opened Fourth and Cross features a farm-to-table menu that focuses on simple and fresh items like pancakes, burgers and sandwiches. Chef Scott Schroeder’s creativity knows no limits and soon, with the opening of Hungry Pigeon on Fabric Row, he’ll add an all-day café with dinner service to his restaurant portfolio. Kanella’s previous location in Washington Square West closed down, but chef Konstantinos Pitsillades plans to open a new edition of this famous eatery in Queen Village this fall.